Nair started at Ford in 1987 as a body and assembly operations launch engineer . DETROIT -- Raj Nair, president of Ford Motor in North America, has left the automaker after he was accused of "inappropriate behavior," Ford said Wednesday. Ford said an internal investigation found that "certain behavior by Nair was inconsistent with the company's code of conduct." It did not divulge the nature of the complaint, which a spokesman said was submitted anonymously through a 24-hour company hotline. Ford said it had not previously received any such allegations against Nair. Nair had been placed on leave during the investigation, which was conducted within the past few weeks and involved a small number of incidents, Ford said. His departure is effective immediately, and a spokesman said his successor will be named within days. In the statement, Nair, 53, said, "I sincerely regret that there have been instances where I have not exhibited leadership behaviors consistent with the principles that the Company and I have always espoused. I continue to have the utmost faith in the people of Ford Motor Company and wish them continued success in the future." 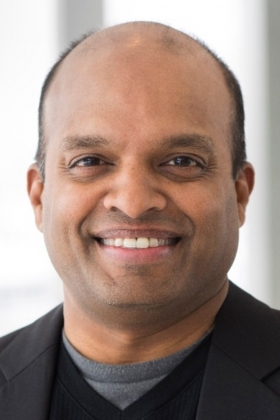 Before being named to his latest position in May 2017, Nair was Ford's head of product development and chief technical officer. He oversaw the launch of the 2016 GT supercar, aluminum-bodied F-150 and 50th-anniversary Mustang, among a plethora of other vehicles. Less than two weeks ago, Nair took delivery of the first GT produced for the 2018 model year.